The Alberta Rural Development Network (ARDN) is a not-for-profit partnership of Alberta’s 21 public colleges, universities, and technical institutes, including Keyano College. ARDN members work together to support and enhance the well-being of individuals and the vibrancy of communities. It draws on the strengths of rural communities, post-secondary institutions, and community-based organizations to assist in the development of rural Alberta through education, research, collaboration, and networking. The organization assists with the creation of community-driven projects, provides opportunities to create new partnerships, share and supports applied research projects, and works with rural communities to identify and address gaps in education training. Visit www.ardn.ca for more information. 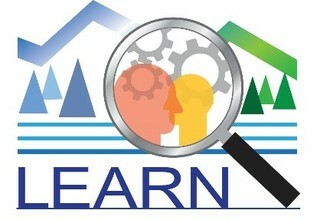 Labour Education Applied Research North(LEARN) is a joint initiative created in 1995 between the Northern Alberta Development Council (NADC) and a group of northern Alberta post-secondary institutions. Currently, the partner institutions are: Grande Prairie Regional College, Keyano College, Portage College, and Northern Lakes College.